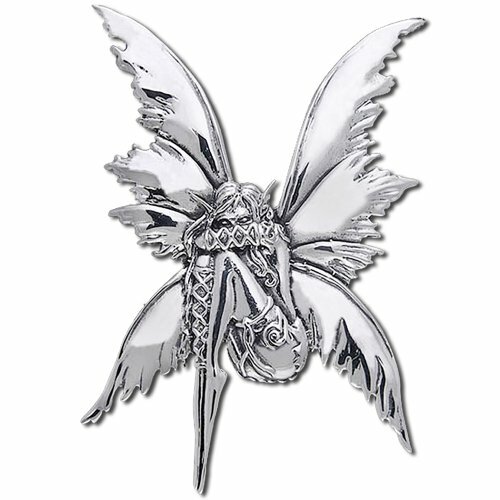 Do you have a friend who loves the beauty of these magical winged fairies? 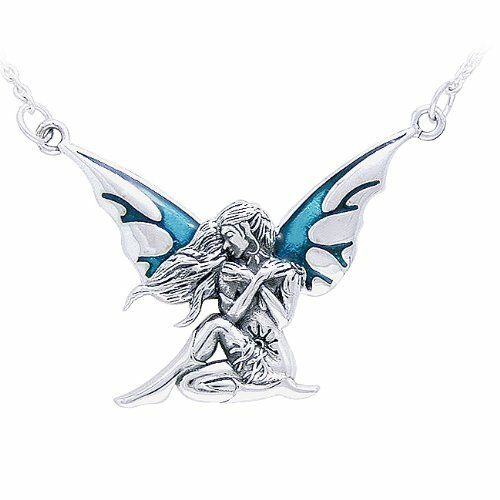 I’ve found some gorgeous designs for you today – delicate, ethereal and just plain fanciful, fairies can be represented in so many ways and any one of these fairy designs would make a great gift for a fairy lover. I was given the Flower Fairy book when I was a child and spent hours looking at all the details in the paintings. I love them! 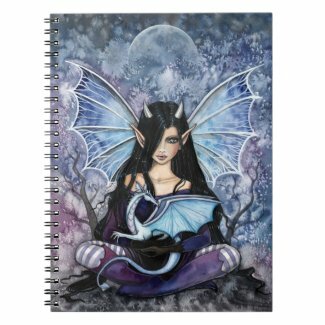 If you want to show off your favorite fairy design, a spiral bound notebook is a very practical way of doing it. By coincidence, all three of these items feature a fairy with a tiny dragon, another of my favorites! 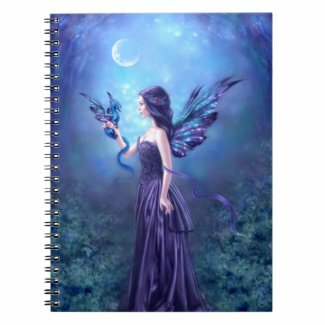 The iridescent fairy notebook is absolutely gorgeous – a dark haired fairy in the moonlight with lots of blue & purple shades. 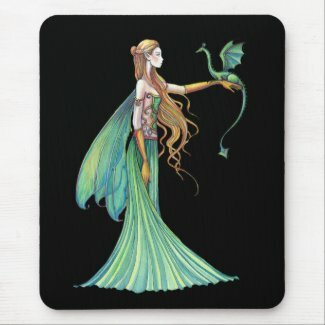 I love the green fairy mousepad too – the pale green dress goes so well with her long blonde hair and baby green dragon. All three of these delicate looking pendants are made of sterling silver so they won’t turn your skin green if you wear them every day and who wouldn’t want to wear one of these beautiful necklaces as often as possible! 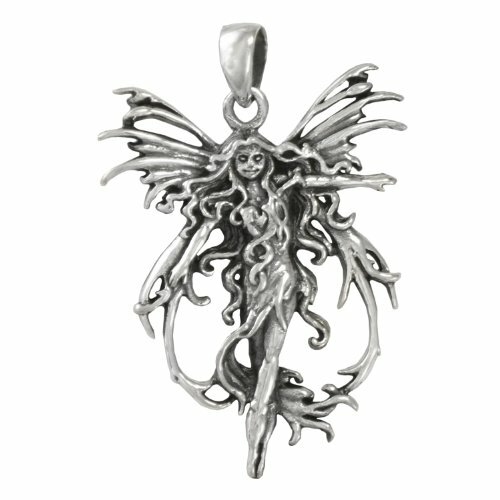 I particularly like the bashful flower fairy necklace but all three would make a perfect gift for a fairy fan. 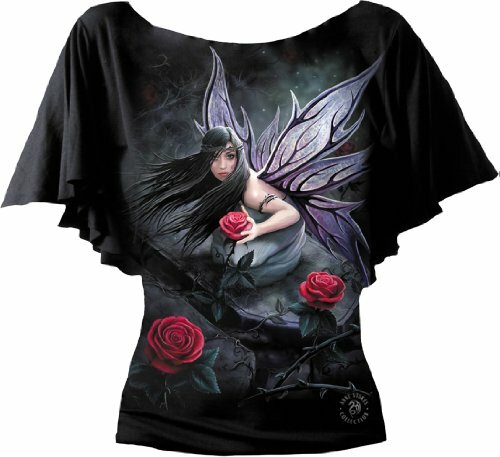 Another great way to show off your love of fairies is with one of these stunning t-shirts. 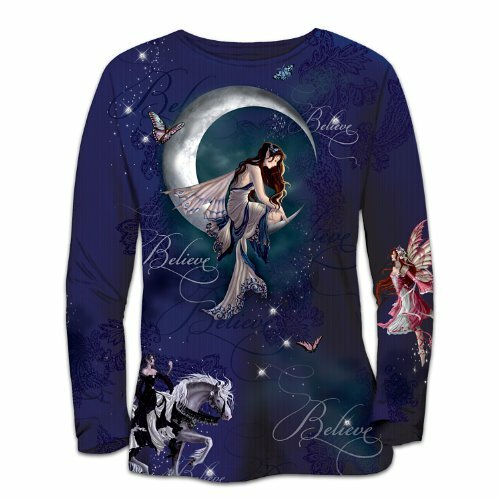 The bat sleeve top with the rose fairy design would make a lovely evening outfit, paired with black pants or jeans. 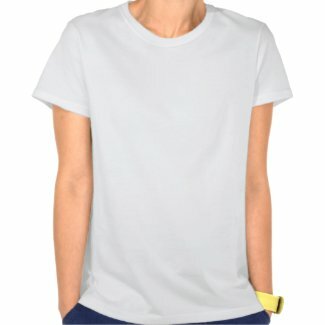 I really like the gothic couture fairy on the white tee though – that lady has some attitude and an amazing dress! 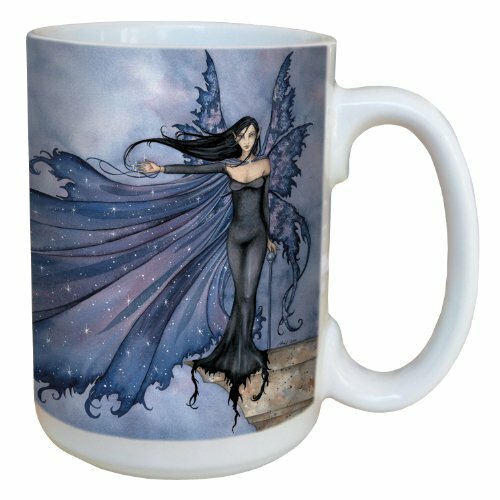 I think I’ve mentioned before that I have quite a collection of coffee mugs and any one of these fairy design mugs would make a great addition to my collection. 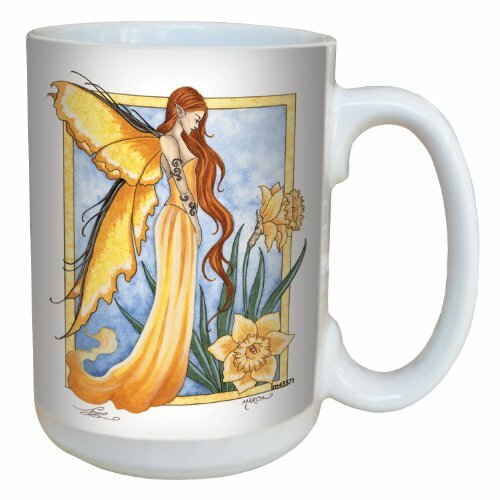 The sweet daffodil fairy mug is reminiscent of my childhood flower fairy book with her colors matching the beauty of the daffodil. I love the cloak of stars fairy too but my favorite is the whimsical beasties design. 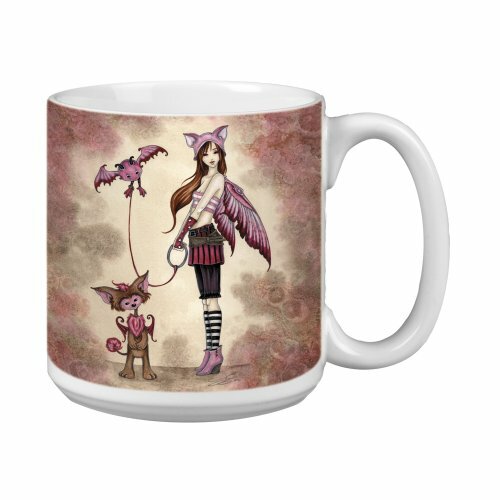 All three of these fairy mugs feature designs by Amy Brown and there are loads of other Amy Brown fairy mugs available too. I hope you’ve enjoyed this brief look at these stunning fairy themed gift ideas today. I’m pretty sure every young girl loves fairies at some point but some of us keep our love for much longer, I know I do.